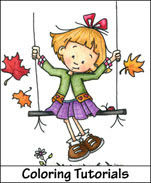 Hi, Sassy friends~ Are you ready for a new challenge... something Spring-like? Well, we are. Lucky number 1!! And that is Sarah, The Stressed Stamper. Don't be stressed, Sarah. Just email Sassy Cheryl to claim your $5 gift certificate and have fun shopping. 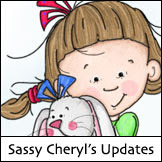 There's lots of new things to pick from, so enjoy all of the goodies at Sassy Cheryl's shop. We love having you join us and being so faithful to our challenge. And, thanks to all of you for playing along with us. 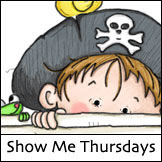 So, come and join us in our challenge this week. And, for our theme this week, Spring is anything you want it to be. 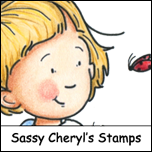 Just be sure to use a Sassy Cheryl digi in your card, layout, or 3-D project to qualify for our challenge this week. Full rules are listed to the right.. and they are very simple. Best of luck to all of you. Great cards ladies, so full of inspiration! Wow, girls! You think spring will stay now that you've made these wonderful cards? AMAZING! Love these card samples!!! Great job from the DT! Well, you girls never fail to amaze me with your wonderful creations. This is going to be a fun challenge. I couldn't resist creating a Spring Mother's Day card with one of Cheryl's newest images "A Mother's Day Heart". Lovely work DT! Love the Sassy images and have entered this week! I think I got it right this time! LOL I had so much fun creating my card! What a fun challenge! Congratulations Sarah! Lovin all these Springy cards Sassy Ladies. Keep you fingers crossed we have a long Spring. Great cards out there. Thanks for the opportunity. Love your challenges, and most of all the images. Great DT inspiration! Fab Challenge! I finally got to colour up Bo Peep & put her on a card! I've practised colouring her many a time! lol! Whew! That cloud of dust is me sliding in at the last minute! I've missed the last couple of weeks so really wanted to get back in the groove. DT, wonderful cards as always. Thanks to everyone for participating in the "Think Spring' challenge this week with all of your amazing cards!